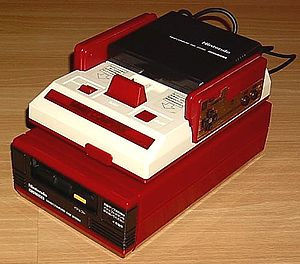 OK, here's a Famicom instead. The Nintendo 3DS NES Ambassador games are just two days away, and although there's been no official announcement of the full line-up yet the official Japanese 3DS eShop page has seen an update to feature the 10 NES games. Would you be happy with this line-up? Thanks to Axl_Abe and Metroid_133 for the tip! 10 free games? Who wouldn't be happy with that. All honesty though it's a pretty solid line up, maybe I'll finally get round to beating Zelda 2 if I can take it on the go. I'd be well happy with that line-up. Super Mario Bros, Zelda 1 + 2 and Metroid! Awesome games! 2 days until the NES games. cough where is Europe's tool for checking Ambassador status? OMG! Zelda 2! Metroid! Ice Climber! DK Jr! Yoshi! I would love to get these 10! I hope we get the same exact list! And wrecking crew! All of these are solid games that I would be very happy to have with the exception being Yoshi or Yoshi's Egg or whatever the heck you want to call it. Never played half of those games and never had the chance to complete the ones I've played way back. Now's my chance. Can't wait to to get all of them, Metroid and LoZII especially. Well, that would be like 4th copy of the original Metroid for me (I got one from Wii Virtual Console, one as unlockable from Metroid Prime GC disc and one more unlocked on Metroid - Zero Mission cartridge for GBA) and second Zelda copy (the other is from Wii VC), but still does not look that bad. I never expected NES games released for ambassadors to be all that awesome. It'll do. @Geonjaha - as far as I know there will be no confirmation tool for Europe, I guess it has something to do with privacy regulations differing among all the countries in the EU or something. Still - it's just two days to go and already too late to "fix" any potential issues with that, so I see no point. I'm so happy about this. If we don't get all 10 on the 1st, I really hope we either get Super Mario Bros. or The Legend of Zelda, as those are the ones I am most excited for. ...Well, I guess I can play Mario, Zelda and Metroid through again. Not that I was expecting much from the NES games anyway. Bring on the GBA titles! @ 5: Not Yoshi's Cookie, Yoshi's Egg aka Yoshi aka Mario & Yoshi. It think it will stay the same for NA/EU/AU since every game on the list was released outside of Japan originally. If I get to be picky, DK Jr is a waste (DK on VC is so much better), and I'll rather have Metroid: Zero Mission on GBA. Zelda 2 is terrible. A Link to the Past is how it's done. It's pretty tough to complain about getting anything for free, so I won't (and the list looks fairly solid). I can't wait to download my free games!!!!!!! Imagine if they released a translated Mother 3 for the GBA line up. That would be awesome. Eh. I'm glad that it's free but do I want to download the exact same early Nintendo release lineup again? The 3DS is such a failure, and this lineup doesn't help that one bit. Then don't download them. problem solved. Would have really liked Kid Icarus but otherwise it's a nice list. Can't wait for the first of September. Golf is the only bad game on the list. Thats solid. If this is the line up for europe aswell I'll be very happy. So it's a mixture of e-Reader games and the Famicom Mini Series plus Yoshi. Not a bad compilation in my book. I will play four of these games for the first time and a portable version of Zelda II will be great too. and Ice Climber for Punch-Out!! Not a bad list, but NES Open Tour Golf is atrocious. I downloaded it on Wii the night it was put on VC as an impulse buy and barely got 5 minutes play out of it before spending years regretting buying it. Nice! Still hoping that Super Mario Bros 2 makes the US list though. I'd love to have it on a portable platform. Zelda II would satisfy me. I've seen somewhere around the net (sorry, forgot the exact source) info about rumored games for both NES and GBA. NES list looked very much alike (if not the same) and as for GBA they named things like Metroid Zero Mission, Pokemon Emerald and everyone's favourite Minish Cap! I was counting a bit for FF 6 Advance but I guess the original sells too well on Wii VC. To me, the only "stinkers" would be Open Tournament Golf and Balloon Fight. I would personally replace them with Wario's Woods and Punch-Out! !, but complaining about free stuff is pretty in-poor-taste as it is. Eh, I would've preferred Punch-Out!! to the original Metroid, as Zero Mission would've made more sense to release, but I'm fine with the list. Well, all I can do at this point is hope the releases change between regions at this point, but overall I think it's a good list. Pokemon Emerald is very unlikely, due to the multiplayer features being completely absent in these virtual console versions. This list of NES games also differs from the rumoured one, proving it was a fake. God I hope US doesn't get Zelda II. Zelda II is way too hard! And it's the worst one in the series! Zelda DOES NOT work in 2D. That's a great set of 10 games. I"m happy about this for sure. @Slapshot get Super Mario Advance for the GBA. And do they really pretend to compensate with all these garbage? No Super Mario Bros. 3? ...that it'd be a 3D Classic?? If that is true, I will die a happy man forever. Seriously! Sorry for typing like that, I was just overwhelmed at the possibility. Sorry but you have no right to complain, Nintendo doesn't need to compensate anyone. We bought the 3DS of our OWN free will when it was released. Looking forward to each and every one. I feel sorry for Japan, but I can't imagine America doing much better. @Mandoble Garbage? You're calling Mario and Zelda games garbage? And you consider yourself a Nintendo fan? I expect Super Mario Bros. 3 to be a 3DS classic around Xmas time. I'm OK with a few off the wall games like Wrecking Crew and Balloon Fight since I wouldn't buy them otherwise, but it'll be fun to play them. Can't say I am "Happy" with 10-20 "Free Games" because there is no way they even come close to subsidising the £80 difference I have lost out on for being a loyal Nintendo fan and a day one adopter of their new hardware. True they don’t ‘have’ to offer anything, but even SONY offered two full retail games to their customers when PSN was down for a month. I would have much preferred if Nintendo offered us just one proper 3DS game instead of just emulating old roms on the 3DS, which many people have played and downloaded for ‘free’ elsewhere. Oh Monsieur Nintendo Ambassador, with these free games you are really spoiling us! @22 I totally agree with you on those. Zelda 2 isn't that bad people. I kinda like the different style and difficulty. Ill also take metroid but lose wrecking crew and go outside of the box and give me metal gear! Probably not possible though. Yes and I'm glad Zelda II's there. Great game despite what people say. @Eclipse_Dj another reason for them offering free retail games is that their personal details were stolen, including credit card numbers. Credit card details weren't stolen. And while Nintendo dont have to give us anything, they're at a huge risk of alienating fans. After the 3DS crashed and burned within such a short period of time, how many are going to go out and buy a Wii U on day one now? This is their attempt to say "it was a fluke, it won't happen again. here's some free games to show we're going to make it right". I think people the early adopters are well within their right to complain, if they don't think it's a fair deal. It's exactly the same situation as it was with Sony. They're doing it to keep fans, not just from the kindness of their hearts. All are great games. Would like to see Yoshi's Cookie show up. Odds are this is what we in the States will get. It's great to be an Ambassador. @XCWarrior, me a Nintendo fan???? Of course not, just a Nintendo user and victim. I could do without the golf game. Wasted slot if you ask me. But overall the list is...fine. Not looking a gift horse in the mouth and all that. It's fine... but I was hoping for more Mario. @Eclipse_Dj @Highwinter oops apologies, sorry. I was hoping for Super Mario Bros. 3 but it might be a GBA title instead. I'm happy with these games. I was considering buying Zelda II on the VC so this saves me the money and the trouble. And for those complaining, Nintendo doesn't owe you anything. You run the risk of a price drop whenever you buy anything expensive. I admit I was very surprised when the price dropped so quickly but I was willing to buy it for full price when I did so why would I be less satisfied when the price dropped? And we get 20 free games when they don't have to give us anything. To all those who are still whining like babies about the free games. Don't download them then!! No-one is forcing you to have these free games and Nintendo didn't have to be anywhere near as generous as they are being. I get the impression that some of you would still be throwing your toys out of the pram even if Nintendo gave us all a full refund. I paid £40 more to have my 3DS at launch. I'm still happy with the price I paid as an early adopter and I've had several months of joy with Shadow Wars, Pilotwings, Zelda etc. To receive 20 free games as compensation is still an amazing apology from a commercial company. zelda 2! never played this one much when i was younger ! wrcking crew was awesome !!! it MUST come to america too.i need wrecking crew !!! For those wondering where Super Mario 3 is it's either a 3D Classic or one of the Gameboy Adance titles. Anyway that's a good list I want six of those games please be the same here in the US. I fully expect this to be the lineup this Thursday. Thats Ok with me because I don't own Wrecking Crew, NES Open, and Mario & Yoshi. Its still possible that SMB 2 and SMB 3 might be announced with the Super Mario Advance series when they release the GBA games. Anyway my 3DS menu is going to be awfully busy looking with all of these games. @XCWarrior So because I don't like Mario or Metroid I'm not a Nintendo fan? I want Mario Bros. 2 and Kirby's Adventure but that may not happen. Kid Icarus seemed like a shoe-in... and I'd have MUCH preferred that to Zelda II... but... whatcha gonna do? The rest of the list is quite solid. My dreams came true, Zelda 2 and Metroid for free! Cracking Job, would swap Yoshi for Wario's Woods but otherwise a top selection. Fingies crossed now for Mario 3 on the GBA. I wonder if Europe will get 50hz pal versions or the normal one? I'm looking at you ridiculously fast Mario Bros Theme! I'm good with all of them except for Yoshi. I've never gotten into that game. I doubt we'll get a better line-up but it would be nice if we did get a better line-up with games like Kid Icarus, Punch-out and Kirby's adventure. YESSSSS!!!! I really hope Wrecking Crew stays on the North American list! I'd be more than satisfied with LoZ 1 & 2 and Metroid. Everything else is a bonus to me. please, get that one here too. Pretty good list I suppose. All except for Ice climbers, Wrecking crew, balloon fight and Golf. Those are pretty lame actually. Why not Kirby's adventure or Mario 3? Maybe we will get "Kirby: Nigmare in Dreamland" as one of the GBA games and it would make no sense to give us Kirbys Adventure too. Mario 3 is likely to be rerelased as a 3D Classic too. @Link79 Ice climber is a good game! Sure, there are better NES games but its still a fun game. But I wanted the free games I wanted! @Iz20XX why would hey release 2 versions of Urban champion on the same system? awesome! would have been nice to of had kid Icarus on the list, but that aside it's still awesome. Pretty disappointed there's no Punch-Out!! but Wrecking Crew's good enough. I hardly class them as "FREE" when I paid £212 at launch for a 3DS and a game bundle and I can get the same package deal now for £135. The best part of £80 hardly equates to a handful of retro roms in my opinion. I acknowledge that Nintendo are under no obligation to offer anything but neither were Sony and like someone else stated you think they would make a little bit more effort towards keeping loyal fans happy. @93 NInty makes up for that with extra credit. GBA games! Sweet! Super Mario Bros. 3 and Punch-Out!! would have been nice, but I'm sure we'll see more NES games in the future, even though they won't be free. SMB and Zelda, super! Metroid and Zelda 2? Cool, but those games haven't aged terribly well. Ice Climbers has a spot in my heart, but it isn't that good a game. Most of the others are near-junk. Check out the ratings these guys gave these games. And they all deserve them! The GBA games better be pretty good to make up for this. These games are nowhere near worth the $80 price drop they're supposed to cover. Just to be clear, I think those complaining would still put up a stink irregardless of what 'gems' Nintendo might have selected to replace the moderately desirable titles. I'm excited, these are the games I will be playing on my breaks at school. YES!! When these are coming out in our continent, I'll download The Legend of Zelda, Zelda II: The Adventure of Link and Metroid! I hardly class them as "FREE" when I paid £212 at launch for a 3DS and a game bundle and I can get the same package deal now for £135. You knew what you were buying when you bought it, and you knew what you were spending when you spent it. You were evidently pleased enough with that purchase to make it without knowing that eventually you'd be getting 20 additional games as well. So, yes, for you they are free. Solid lineup, I'm certainly happy with it. They're all games I would wind up buying anyway, so I'm stoked. Kid Icarus as a eShop purchase, I'm fine with that. I am a huge Nintendo fan. The 3DS was my first day one console purchase. It was a thrilling day. I was really excited about buying a WiiU next year. I had decided to skip the PS Vita, and head straight for the Wii U. But this situation around the 3DS makes my sensible side want to hold off on buying one. So now I'm torn. Do I sensibly hold off or do I let myself participate in early adopter madness. What I really want is for Nintendo to make me feel safe about rushing to a store one morning next year and laying down cash for a console I really don't need to buy day one. My point regarding whiners is that I think a lot of people also just want to feel OK about their 3DS purchase and the possible purchas eof Wii U in the future. I knew what I was buying and spending at the time yes but I was far from pleased with my purchase due to rushed launch games with limited features and a poor game selection. What I didn't expect at the time of purchasing my new technology was that in 5 months time people would be buying it at a massively reduced price to me. I believe I have every right to feel agrieved and find it extremely difficult to get excited or be thankful to Nintendo for their "generous free games". I wish I was as easily pleased as some of you but as a long time Nintendo fan I feel hugely let down and will certainly be very wary on future products. That is all! Yuck! NES games on a micro-sized screen. Disgraceful if you ask me. Yes your thinking is correct, I do not own a 3DS. I have lost all my faith in Nintendo. I will never touch another Nintendo game as long as I live. All hail the almighty Sony! Cool. Never played Wrecking Crew, Balloon Fight, Ice Climbers (missed the Black Box NES era, clearly). And would love to hear Metroid's haunting soundtrack in my headphones. I have a sneaking suspicion I'll like Yoshi and NES Open Golf more than some of the nay-sayers, too..... Excited. Hope the menu screen icon is a floating NES cartridge, sort of like the Game Boy VC titles. i think all of you complaining about free games should shut up. Nintendo doesn't owe you anything. You made the choice to buy it at full price when it came out, so you have no right to complain. I tried to buy a 3DS for myself at full price so I could get the 20 free games but it never happened because I didn't have the money. I would have gladly bought a 3DS at 249. I bet you would have complained even if they gave you a full retail game because it wouldn't have been one that everyone wanted. So stop complaining already. If you don't like the games then don't download them. It's as simple as that. I wish I was as easily pleased as some of you but as a long time Nintendo fan I feel hugely let down and will certainly be very wary on future products. That is all! It's not a matter of being "easily pleased," or even pleased at all. It's a matter of understanding that, at the time, you paid full price, and thought it was a good enough deal at the time in order to do so. You didn't expect you'd be getting free games, and now you're getting free games. Others did not see it as a good deal at the time, and so they waited, and now they can spend less. The fact that you bought early doesn't make these games any less "free," nor does the fact that you weren't satisfied with the launch games. Nobody's asking you to turn cartwheels over Nintendo's offer...but since they didn't need to offer anything at all, and these games were never included in the cost of your purchase, yes, that makes them free. Whether your pleased or not is another matter, and nobody's questioning that! Hey, all you guys who paid $250 at launch and are saying you spent too much... I spent TWICE that on a 3DS for me and one for my wife, plus multiple games! I'm not complainin', though. I love Nintendo and I got to be part of the hype, which is a lot of the fun for me. The price cut stung for sure, but I'm happy with the free games (the majority of which I'd buy anyway) when they really could have just given us nothing. Great stuff! so great that I ALREADY HAVE ALL OF THEM!!! That's great. I love getting these games free. I don't buy a lot on the WiiWare or eShop cause I think most games are a bit overpriced. But I do love having games on the system itself. Especially the handhelds. It's nice to have a game-cartridge in the system and still know that you have a lot of other games to play if you might get tired of it. I don't really think its fair to dismiss disgruntled early 3DS adopters as 'whiners'. A sense of balance is needed. As someone who purchased the 3DS on launch day I was dismayed by the price drop but felt somewhat placated by the Ambassador scheme. I totally understand why a lot of people are still not happy. The net loss of £80 (or dollars or whatever...) cannot in many peoples eyes be compensated by a set of old games many of which will have already been played and completed by loyal Nintendo fans. Many of these will have been the same loyal fans who purchased the 3DS at launch. I agree with the sentiment that a free retail game or two would have felt like a more genuine apology. As it stands, I think people have a right to feel aggrieved and I have no problem with them expressing such opinions. To the people who say that Nintendo were not obliged to have offered anything, this is true. However, slashing the price of the 3DS and offering nothing to people who had already purchased one would have alienated their most loyal customers. Companies which do that don't tend to stay in business for very long. I was kind of hoping for Kid Icarus.. They can replace that with Donkey Kong Jr. in Europe for me. Haha... Best comment on this article. My thoughts exactly, except for the fact I don't have a 3DS, but I do love playing these games on my TV! Eh... I'd rather have them on my 3DS. "Never in Nintendo's history have we dropped a system's trade price so significantly less than six months after launch... We are aware this may cause you, the loyal fans who supported Nintendo 3DS from the beginning, to lose trust in us, and this is not our intention in any way. All of you who have kindly supported Nintendo 3DS from the beginning are Nintendo's most important customers." It shows that they acknowledged potential upset from their loyal fan base and that is the reason for these games being given. Thank you, nice to see someone with a bit of understanding on this matter. It seems I can not express my disappointment here without being told to "shut up" and "stop whinging". @Eclipse_Dj You can complain all you want but its not gonna change anything. So you can either make yourself miserable or be happy that you're getting free games. but overall, it's a great list. also, i'm kind of relieved at the lack of Punch-Out! I'd really like to see it as a 3DClassic. @tendoboy1984 Zelda 2 isn't terrible, it's awesome! Have u ever finished it? It's a wonderful game that is very underrated. The last couple of bosses were amazing to beat Every Zelda game, I feel, brings something unique and awesome to the series. @118: NES games on 56in screen. No thanks, they look like that big. And you definatly won't be able to play the GBA games on the 56in screen. Where the hell is Kid Icarus? And what the hell is Yoshi? Only bad one on there is NES Tournament Golf. Other than that, it's pretty solid. Not too interested in DK Jr. though... I'd rather have Kid Icarus or SMB 2. @TheDarkness: It's a puzzle game. It's not bad, but it gets boring really fast and makes you wish you were playing a better puzzle game like Tetris or Dr. Mario. I need Wario's Woods, dangit! It has ten times the charm and 100 times the gameplay of that green dinosaur's mediocre puzzle game. NoA's twitter account says the American list is the same.. I'm going to complain, but not because I spent a lot on a 3DS. My problem is that these games don't look very good for the most part. I understand that they're free, but Nintendo could have had the decency to choose games people would enjoy. I've never heard of the golf game or yoshi (the game, of course), and I'll likely only be downloading the Mario game. It makes me sad to turn down Nintendo's ambassador offer, but I really don't think I can play the majority of those titles for more than 10 minutes without falling asleep. @uel your argument makes complete sense. Because you haven't played certain titles they must be crap and are not even worth trying! And also "I understand that they're free, but Nintendo could have had the decency to choose games people would enjoy." Yes because we agree with the non-existent titles you listed that all of us would enjoy. You figured out that all of us just want Super Mario Bros and the rest are garbage. Please share with us more of your wisdom! @Djrr-ific: Lucky you. I held off on Super Mario Bros. and most of the others for this very reason. The exceptions are the two Zeldas, which I bought for vc when my curiosity got the better of me. They were pretty fun, but I have no desire to play them again on 3DS. I don't blame Nintendo because they have no way of knowing which games ambassadors have or haven't played. @Kainard: You're right, I have no way of knowing for sure whether or not I like a game without having played it. I also realize someone is bound to like them. I just meant that from my experiences, NES games tend to be overly simplistic and archaic. I am also assuming that popular games are popular because they are good. If I never hear anyone talking about half the ambassador releases, my guess would be that they aren't worth paying for. Personally, I only consider free games to be a bargain if I would consider buying them in the first place. Nintendo of America's Twitter account says that the games for free are the five games announced weeks ago and Metroid, Open Tournament Golf, Wrecking Crew, Yoshi and Zelda 2. These are the same as Japan's so I would guess Europe also gets these 10 games. The only thing I am surprised of is that Nintendo hinted on Facebook that Super Mario Bros. 3 would be in the list. I don't care too much because I have both the VC one and the remade one. Update Djrr-ific sorry for repeating this post. I only noticed you putting it on after I posted my comment. Download them, play them for ten minutes or so just to get a feel of them and then delete them if you wish. Why ignore something you are being given for free anyway? So what if they are simplistic and archaic? 60% of the 3DS Virtual Console library will be even more simplistic and archaic. B&W Game Boy games aren't exactly the pinnacle of early nineties gaming except for a few classics. Its the GBA games that are the real gift, not the NES games. The NES games are likely only included to bump up the number of games to twenty, give us some games early (since the GBA games won't be ready until months later) and to unload a bunch of games that Nintendo knows they wouldn't be able to sell many downloads on the Virtual Console. Hmm, most of these were released on the GBA as part of the Famicom Mini / NES Classics games, I wonder if they will use those versions. Will be interesting to see how Nintendo emulates them in Europe, if they reflect the 60Hz standard (with correct speed music and gameplay), or the slow 50Hz versions made available on the Wii VC. They're 'free' so I'll get them either way! @51 @98 Go to any used game store and add up the prices for 10 first party GBA games. They're easily worth at least $80 or 80 pounds. Then consider that we're getting the NES games on top of that. Anyway, it's a pretty good list, although if they're giving us the original Metroid, we probably won't get Zero Mission among the GBA games. Eh. Ok line up I guess. Can't complain, they are free! I'm more excited for the GBA games anyway. Eh, I'm happy with Zelda II, but everything else...is meh. Don't get me wrong, I mean, it's FREE (yay), but I'd rather have a more classic line-up, like Super Mario Brothers 3, Punch-Out! !, etc. But, it's free, so I shouldn't be complaning. In terms of value, we are getting more than $80 in free games. Take an NES game on wii VC. 5 bucks each. Mutiply that by 10. And the GBA games. My gamestop sells them all (if they have any in stock, that is) for $15-$20 each. If its true that Pokemon: Emerald made the list, and It goes for $30 still. thank we just got nearly $150 in free games. There is only ONE game here that dissapoints: Yoshi. It isnt bad. But you cant go more than 10 minutes on end without getting bored. Its kinda like a waiting room game. And I see why they didnt put Kid Icarus. All 10 of these games will appeal to any age group. Take an 8 year old who is an ambassador. He would go insane playing Kid Icarus. It is the hardest NES game. No doubt we'll see Of Myths and Monsters soon. And it was a vast improvement over the NES one. And sure, you may be all, "Well, Metroid aint a kiddy game"
I love the people who point to Nintendo's ridiculous VC pricing and try to convince us that we're getting the better deal monetarily out of this. Seriously, you all hold a special place in my heart. But whatever! It's free. We should just not complain because of that. @MechaPhoenix (149. ): You could also consider the 3D version of Excitebike if you got it for free. Another huge up to 6 $ there.